Wildlands Conservancy’s Thomas Darling Preserve is located in the famed Pocono Mountains and is home to one of the state’s largest spruce forests. This groundwater-fed glacial wetland offers more than 1,300 acres of birding, hiking and hunting areas. In December 2017, we added 72 acres of adjacent woodlands and wetlands. The acquisition, located along Route 940, forwards plans to provide public access to this expansive preserve. 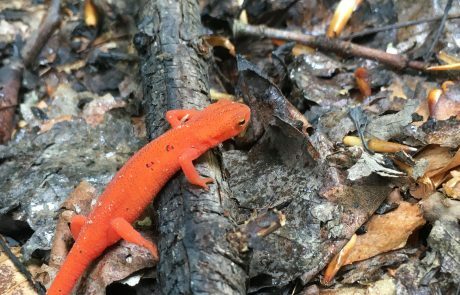 This special, natural area is teeming with conservation and education – from college students gaining invaluable field experiences to help at-risk species to volunteers getting hands-on to the tune of more than 1,000 hours to date (with a need for more)! Get involved! Share your time to help steward special habitats at Thomas Darling Preserve. Amazing Relationships Make All the Difference! These amazing relationships, together with key partnerships and a community of support (from people like you! ), are part of how we’re putting the best science to work for all the nature this Pocono destination has to offer. 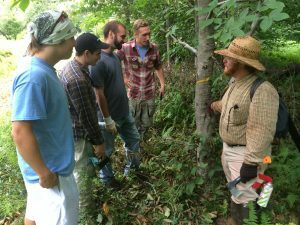 Stewardship crew, college-age students gaining real-world field experience, learn about habitat efforts. 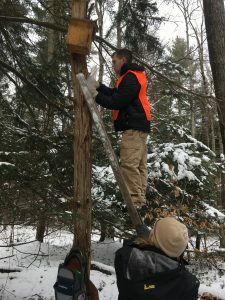 Nesting boxes are inventoried to see look for signs of our at-risk Northern Flying Squirrel. 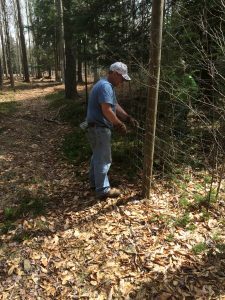 A volunteer helps install fencing for habitat efforts to help the return of the Golden-winged Warbler. Earth Day volunteers help native trees take root to benefit people and nature! Wildlands employs science-based standards and proven land preservation techniques to manage natural areas like Thomas Darling Preserve. 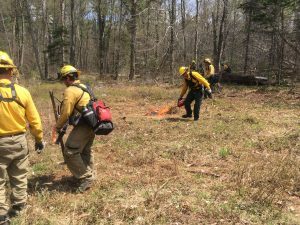 Controlled burns conducted by professional fire teams are among the methods used. 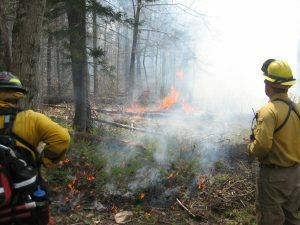 They safely reduce the amount of fuel for fires, support healthy forests, and improve wildlife habitat. 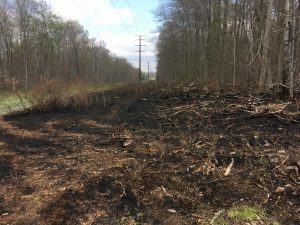 In spring 2018, we worked in partnership with the Pennsylvania Game Commission to administer a controlled burn to help research effective methods for managing beech brush.